Embodied conversational agents (ECAs) are computer-generated, human-like characters that interact with human users in face-to-face conversations. ECA is a powerful tool for representing cultural differences and is suitable for interactive training or edutainment systems. 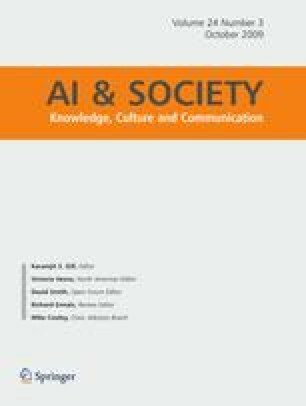 This article presents preliminary results from the development of a culture-adaptive virtual tour guide agent for serving Japanese, Croatian, and general Western users by displaying appropriate verbal and non-verbal behaviors. It is being implemented in Generic ECA Framework, a modular framework for developing ECAs. Dividing the ECA functions into reusable and loosely coupled modules minimizes the effort required to implement additional behavior and facilitates incremental scale up of the system. We thank Kateryna Tarasenko, Vjekoslav Levacic, Goranka Zoric, and Margus Treumuth for their contributions to this project during the eNTERFACE’06 summer workshop, and Takuya Furukawa and Yuji Yamaoka for their contributions to this project during the eNTERFACE’08 summer workshop. We also thank Tsuyoshi Masuda for his contribution in the application for experiencing the cross-cultural differences in gestures.